This high frequency gem elixir activates and prepares your Eka Body so that you may work with the Masters of Light to activate additional bodies of consciousness & light that is necessary to prepare you for the journey of God Consciousness and Oneness. Ascension Alignment is a compilation of new creation encodements of many galactic, planetary dimensional and ancient systems that re-pattern the body by releasing outdated genetic programming. It then raises the frequency of cellular memory to instill health and well-being on 44 unique levels. Ascension Alignment gem elixir is infused with the vibration of the Blue, Green, Ruby &Violet Rays to create a cosmic shift, enabling your Akashic records to be cleared & healed so old paradigms will be transformed, transcended and reconfigured. 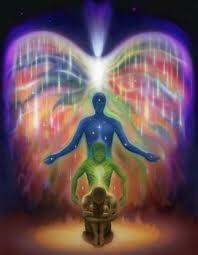 Your chakra system is activated, negativity cleared and a pathway for the movement of kundalini instilled. The process of 'ascension' involves not only people, but the whole planet and all beings. The increased number of electromagnetic connections within your being will produce the perfect elements for transformation - giving your DNA / RNA, physical body and all subtle bodies the chance to alignment with your divine purpose. Unusual aches and pains throughout your body, especially joint pain. Waking at night between 2 and 4 a.m. Much is going on in your dream state. Memory loss. A great abundance of short term memory loss and only vague remembrances of your past. 'Seeing' and 'hearing' things. You are experiencing different dimensions as you transition, all according to how sensitive you are and how you are wired. You may hear voices other than your own. Periods of deep sleep. You are resting from all the acclimating and are integrating. Heightened sensitivities to your surroundings - crowds, noise, foods, TV, other human voices and various other stimulation are barely tolerable. You don't feel like doing anything. You are in a rest period - you are 'rebooting'. Your body knows what it needs. Days of extreme fatigue. Your body is losing density and going through intense restructuring. A need to eat often along with what feels like attacks of low blood sugar. Weight gain, especially in the abdominal area. A craving for protein. You are requiring an enormous amount of fuel for this ascension process. A wanting to go home, as if everything is over and you don't belong here anymore. Feeling you are going insane, or must be developing a mental illness of some sort. Ascension Alignment will provide healing for these symptoms.